A lot of people in Winnipeg these days need cash. Unlike in the olden days, we are now living in an era where only those who have sufficient financial funds will survive. School, medication and even the prices of basic commodities are constantly increasing across Manitoba. Due to this reason the service of payday loans in Winnipeg is becoming more popular among its citizens who have a stable income source. It is also a common case when people with bad credit history have no chances of getting a traditional bank loan and have to turn to more costly instant approval payday loans. How to get a payday loan in Winnipeg? The most common concern that many interested loan applicants raise is the requirements that they need to meet to qualify for these loans. 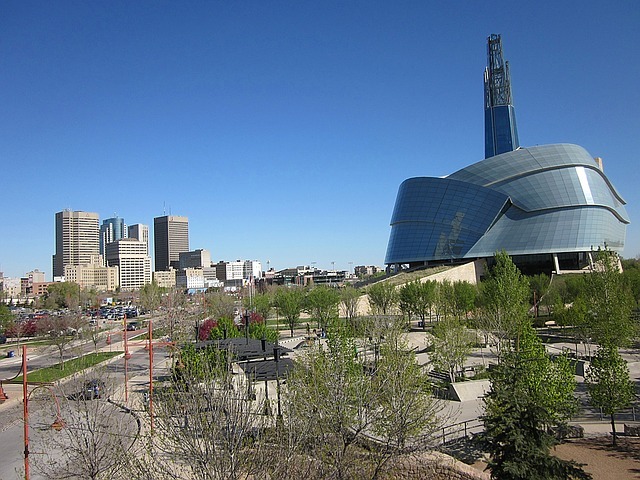 Winnipeg has the same borrower requirements like in any other town of Manitoba. However, the ultimate requirement that not every loan applicant can comply with is one's personal responsibility for applying for such cash loan without credit check. This is the common root of all loan repayment issues since a lot are only concern about the money that they are receiving and pay less attention to how to repay them as scheduled. What are the maxium interest rates in Winnipeg? There is no single rule of interest rates in Canada therefore the maximum interest rate may vary from province to province across Canada. Winnipeg has the same rate as any other town of Manitoba, which means that the most you can be charged for a payday loan in Winnipeg is 17% of the principal amount of the loan. For example: If you borrow $100, the interest will make no more than $17. If you are charged more than the maximum rate allowed, the law gives you the right to be reimbursed the entire amount of the fee charged. What is the maxium amount I can borrow Winnipeg? The maximum amount of cash you can borrow depends on your monthly net income for the past 30 days. There is a formula which is used to determine your net pay. Once you know the amount of your net income, then the maximum amount of payday loan that you can borrow in Winnipeg cannot exceed 30% of your net pay. For example: You have calculated your net pay which equals $1000, which means, that the maximum amount of payday loan that you can borrow is $300. One has to understand that the very reason why this loan is only granted to those who are 18 years old and older is to ensure that the person is mature enough to apply for the loan. These are the people who don't need their parent's advice on how to spend their finances wisely. They are intended to serve as helpful financial tools to save anybody during financial distress. Hence, this loan must only be reserved when you are in great financial trouble. If you listen to many financial advisers, you will learn that it is not good to spend the money that is yet to be earned. Aside from the fact that you are not sure what the future has in store for you, you will be burdened to pay high interest fees when applying for payday loans. Since they are offered to everybody regardless of your credit history, lenders seek to secure their funds by charging high fees and offering the loan in short terms. Hence, you may need to pay for the loan for the next 2-4 weeks together with its accumulated interest and charges. This can be very expensive for someone who is only earning enough to sustain one's needs. This may also mean foregoing one's basic needs to fulfill one's responsibility to make loan repayments. However, you cannot afford to deny your family (including yourself) from your basic needs such as food, shelter and medicine. Hence, you will be forced to apply for another loan to provide what is needed. And this will result to chains of events that will greatly affect your financial status. Yes, bad credit payday loans in Winnipeg may only entail a small amount of cash and only for a short period, but compounding interest rates and many loan applications may eventually lead to one's bankruptcy. So be a responsible loan applicant and only avail bad credit payday loans as your last resort to secure for cash.